Bar Manuals founders and authors Ryan Dahlstrom & Preston Rideout are Certified Consulting Bar Experts by the Hospitality Association of America. If you own or manage a Bar, Nightclub or Restaurant and feel like your business should be doing better, feel free to reach out them via LinkedIn. As dedicated industry veterans, we are determined to stimulate the industry with the knowledge and experience they have gained over the past 30+ years and will be giving away Free Downloads to industry professionals just like you. 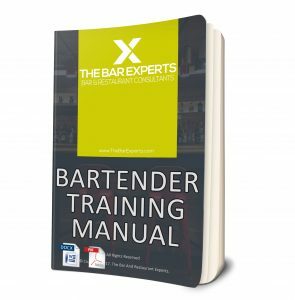 Need a Customized Bartender Training Manual? These Bar Experts offers Companies fully customized Manuals and Training Guides, giving you the chance to showcase your Brands and Products.